Blackburn with Darwen residents are being encouraged to ‘do something new’ during Dementia Awareness Week, which runs from today, Sunday May 17, to Saturday, May 23. A host of events and activities are being organised locally throughout the week to raise awareness of dementia and the support available locally. Activity is being coordinated by Blackburn with Darwen 50+ Partnership with Age UK and Blackburn with Darwen Council and is aimed at people living with dementia, their families, friends and carers as well as the general public who want to learn more about the condition and what they can do to help. 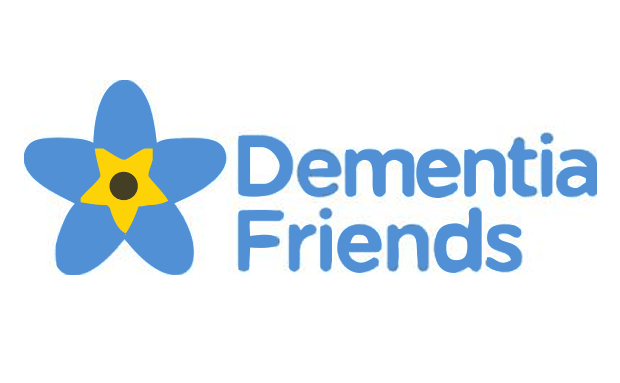 A new project has recently been launched locally to make local communities in the borough dementia friendly and identify those with the condition early and support them from diagnosis to the stage of needing more care and support. It is part of a wider plan of integrated care between the Council, NHS and voluntary sector to provide more care and support for people in the local community. Monday 18th, 2.30-4.30pm – Darwen Town Hall. Book via Zoe Aldcroft on (01254) 266620 or zoe.aldcroft@ageukbwd.org.uk; Tuesday 19th, 2-4pm – Royal Blackburn Hospital. Book via Sandra Nuttall on (01254) 733396; Tuesday 19th, 6-8pm – Darwen Vale High School (over 19s only). Book via Danielle Dean on (01254) 581175; Wednesday 20th, 3-5pm – Darwen Town Hall. Book via Zoe Aldcroft on (01254) 266620 or zoe.aldcroft@ageukbwd.org.uk. Free information and advice stalls will also be available across the borough in the following locations throughout the week: Monday 18, 9.30-12pm – Darwen Market; Monday 18, 1200-1330 – Blackburn College Beacon Centre; Wednesday 20, 9.30am-12pm – Natwest Blackburn and Natwest Darwen; Thursday 21st, 1100-1300 – Derwent Hall; Friday 22, 9.30am-1pm – Darwen Leisure Centre, 10am – 2pm – Blackburn Sports and Leisure Centre. On Tuesday, May 19 King George’s Hall will host a dementia awareness event ‘Healthy Minds’ from 9.30am-1.30pm. The event will feature a talk from a person living with dementia and their carer as well as a dementia awareness workshop, dementia-related activities and a market place of stalls with free information and advice rounding off with lunch. The event is open to members of the public but places are limited and booking is necessary. Contact Paul Harrison on (01254) 266620 or email paul.harrison@ageukbwd.org.uk to reserve your free place. From 1-3pm on May 19th the Alzheimer’s Society at the Carer’s Service will also be offering free advice and support to all carers as well as a time to socialise and relax. On Wednesday, May 20 from 10am-12pm Healthwatch will host a drop-in dementia workshop at the town centre’s Your Support, Your Choice shop with free lunch. Café Hub in Darwen will host a similar event from 2-4pm. Hopwood Court Day Centre will then host a dementia café with the Alzheimer’sSociety from 1-3pm with tea and cakes. It will be a chance to socialise, listen to music and reminisce. Call Zoë Aldcroft on (01254) 266620 for more information. On Thursday May 21 Blackburn Central Library will host a free coffee morning from 10.30am – 12pm. Guests can share memories, meet friends, chat and take an optional tour of the library for free. For more information contact (01254) 661221. On Thursday afternoon, May 21 all are welcome at the Carer’s Service Kingsway from 1-4pm for afternoon tea and cake, with a community raffle, socialising, music and lots more. Free entry and no booking required so pop by and show your support. It’s brilliant to see so much going on to raise awareness of dementia throughout the week and beyond. There are lots of support services available across Blackburn with Darwen for people living with dementia and it is important to showcase these during Dementia Awareness Week in case any of our residents ever need them. We have worked to develop a full and varied programme of activity for Dementia Awareness Week to really give local people a chance to find out more about what support is available, and also how they could get involved and become ‘dementia friendly’ so we do hope people will come along and find out more.